How will it benefit you as a parent , teacher, foster carer or social worker? I encourage you to use ‘towards’ thinking and ask you to notice the behaviopur you want to see more of rather than the behaviour you want to see less of. What you focus on is what you get more of and that is so true in parenting. How will it benefit your children or the children you care for? There are a great many reasons why NLP works so well with children and young people. Everything is possible with NLP the only thing stopping a child is the child itself so you will learn how to help them overcome their limiting beliefs. How will it benefit you as an existing NLP Practitioner, Hypnotherapist, Coach? Although you already know all the principles of NLP and how to use the tools and techniques with adults, it is very different working with children. 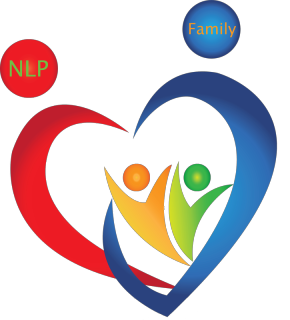 I will teach you how to use NLP with parents, children, young people, teachers and carers. The child has probably not requested the appointment. They possibly don’t want to be there. They may not acknowledge that there’s a problem. It is probably someone else’s fault! They’re just fine! The ‘problem’ or ‘issue’ may not be theirs. It could well be the parents’. They know they have feelings, feel sad, confused, angry but they don’t want to talk about it or share the feelings. They don’t have the verbal skills to express what’s going on so we need to use play therapy, art, drumming, glove puppets, play doh and so on. Children automatically think the adult knows the answer so unlike an adult, they will say they don’t know quite a bit because they are scared to get things wrong. Therefore, it’s really important to be alongside them in a ‘not-knowing’ place. This is not what an adult client expects or wants. They may have been given a label which has become their identity and they feel this is who they are. It has become a ‘stuck state’ so no-one can help them. Together we will devise workshop programmes that you can deliver to schools and teachers, parents, children and exercises you can use in your one to ones with children, young people, and parents. You don’t get a manual although you will get copies of my NLP Workbook and ‘Be a happier parent with NLP’ but through the homework you will produce your own materials and content. I design each course around individual students and who you want to work with. On payment of the course fee, you are joined into the private student group where you have access to other students’ homework assignments, final assignments and can discuss cases. I have been training NLP Practitioners in working with children and young people for 7 years. I am certified as a trainer through ANLP and my courses are accredited to Sue Knight who trained me. Module 1 – Introduction to the course and discussion of your personal and professional goals. 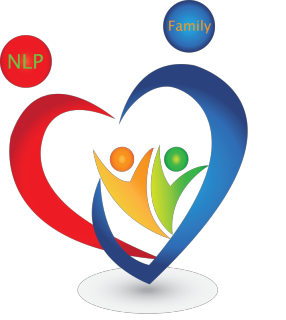 What is NLP and how it works with children and parents. Module 2 – Beliefs of excellence / NLP Pre-suppositions. Module 3 – Setting compelling outcomes. Module 4 – Overcoming Limiting beliefs. Module 6 – Feedback and Modeling. Module 8 – Fears and Anxiety. Module 9 – Behavioural Issues and State Management. ​After the 11th Module you will present a final assignment to me via Skype and other students may join us. These will be individual 30 minute presentations on one element of NLP with Kids. You can choose whatever age group you want to focus on for the exercise and/or what issue. This course is designed for those who want to immerse themselves in NLP Kids for a week and complete the course in one go. It is your course so you can brief me on how you want to use it afterwards so I can prepare the materials to suit your own needs. For example the age of children you want to work with, whether you want to focus more on parents, or use NLP in a school. This course is available to you whether you have an existing NLP qualification or not. If you haven’t studied NLP before please allow time before arrival to read the NLP Workbook that I will send you and do the exercises. A one hour personal online NLP training session with Judy on the subject area of your choice. The session is delivered over the internet using Skype and will be booked in at a convenient time for you in Judy's diary.